The Litigation department of Zamfirescu Racoți & Partners (ZRP) has been awarded ”European Litigation Team of the Year” by the British magazine The Lawyer, the most prestigious international legal publication. 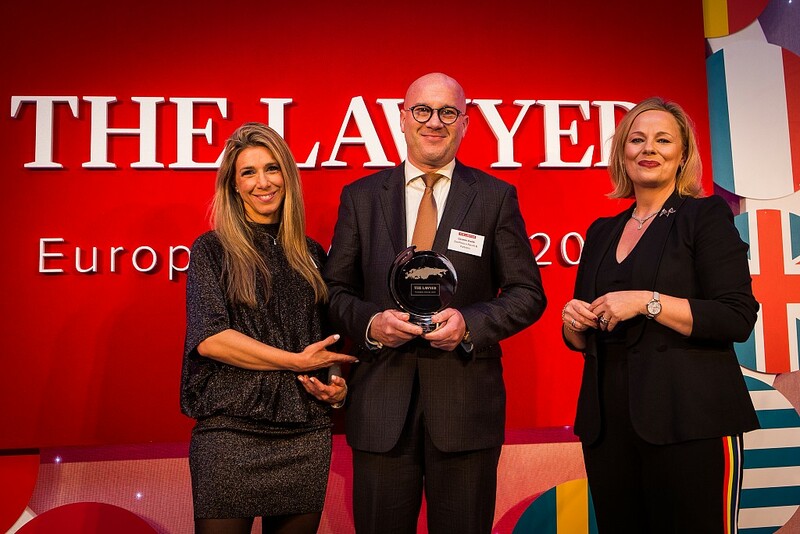 The award was presented on March 19 during The Lawyer European Awards 2019 Gala event in London. The ceremony brought together more than 300 managing partners, senior partners and in-house counsels from over 120 firms to network and celebrate the most successful firms in Europe. Seven top law firms have been shortlisted in the category ”European Litigation Team of the Year”: Zamfirescu Racoți & Partners (Romania), Egorov Puginsky Afanasiev & Partners (CIS & Russia), Aequo (Ukraine), Brucher, Thieltgen & Partners (Luxembourg), Clyde & Co (France, Germany, Spain), Latham & Watkins (Belgium, France, Germany, Italy, Russia, Spain, UK) and Wiersholm (Norway). After a consistent and severe evaluation process, the international jury decided that Zamfirescu Racoți & Partners was the winner of the prestigious trophy. The award celebrates the achievements of the enthusiastic and hardworking litigation team of 37 lawyers. The awards scheme attracts entries from over 120 independent law firms headquartered in Europe and global firms across the continent. The 26 winners have been selected by a jury formed of 21 lawyers and counsels from top law firms such as CMS, Mayer Brown, Pinsent Masons, Womble Bond Dickinson, Orrik, Winston & Strawn, Mischcon De Reya, Herbert Smith Freehills, HFW, DWF or Macfarlanes, and from corporations like Coca Cola, Facebook, Travers Smith, Ardonagh Group, Fleetcor, Santander, GLH Hotels Ltd, Anschutz Entertainment Group, Informa or Global Ports Holding plc. The Lawyer European Awards event celebrates excellence across the European legal market and rewards top law firms annually, based on, among others, the ability to manage complex projects, high quality of services, strategic management and the contribution of leadership to the evolution and development of businesses during the last 12 months, robust partnership culture, gender diversity initiatives and the involvement in social responsibility and pro-bono projects. ZRP has a team of 55 lawyers, including 11 partners: Călin-Andrei Zamfirescu, Ioana Racoţi and Stan Tîrnoveanu (founding partners), Cosmin Vasile (managing partner), Anca Danilescu (senior partner), Elena Iacob, Alina Tugearu, Monica Strîmbei, Dănuț-Ioan Bugnariu, Cătălin Micu (partners) and Valerian Cioclei (partner of counsel).